Awesome work Dashen, I love your presentation style. Thread [V] here we are! Will you adding 300-338? I don't mean to push it and add more work. Good to complete though and it would make for an awesome post or two moving forward. Now I feel bad for asking for more..
AZ border secure as of right now. The plan, coming into focus. NK coming up. China. Russia. Syria. Iran, the UK? Q shows us that there's a PLAN and that it's unfolding, and I believe him. It would be great if we could organize some way. I think it might not be too practical. Everyone kind of gets they own direction created in their mind when reading the drops and it's super individual and intuitive. I keep getting the feeling that there will either be a time when much comes right out in the open OR we come to an end of drops when we can spend more research time. I mean it certainly cannot hurt for people to post what they are researching if they want. I'm most concerned that people dont feel constrained in what they post because that might really disrupt the flow. NG is National Guard. SA ? What is Q telling us....that he sometimes feeds us bad crumbs, to throw off the enemy? 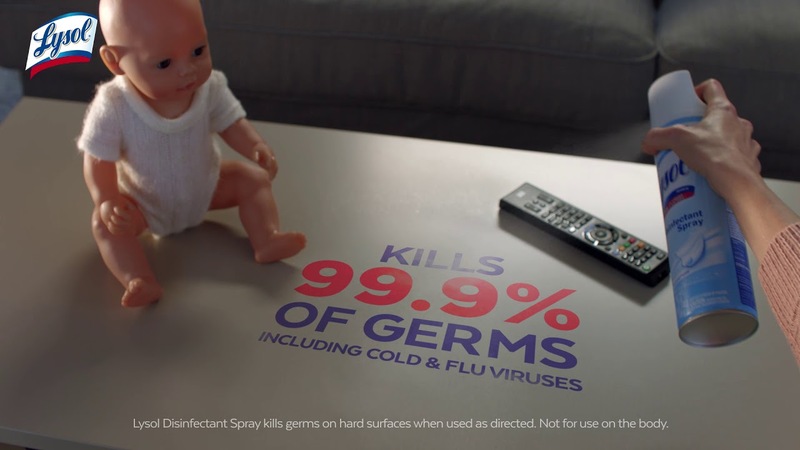 "CHEMICALS PUSHED FOR HOME USE CLEANING [CANCER][BABY ON FLOOR-HANDS IN MOUTH - THE START]"
Some may find this article interesting, if only for what I think it the buried lede. A woman in a lawsuit back in the 70's discovered something in the course of her lawsuit against monsanto. "Along the way, she amassed disturbing evidence about the dangers of industrial chemicals — and the practices of the companies that make them. Two documents, for instance, detailed experiments that Dow contracted a University of Pennsylvania dermatologist to conduct on prisoners in the 1960s to show the effects of TCDD, a particularly toxic contaminant found in 2,4,5-T.
"Yet another, from 1990, detailed the EPA policy of allowing the use of hazardous waste as inert ingredients in pesticides and other products under certain circumstances." "Another document, from 1985, showed that Monsanto had sold a chemical that was tainted with TCDD to the makers of Lysol, who, apparently unaware of its toxicity, used it as an ingredient in their disinfectant spray for 23 years." "Dr Maurice Hilleman: Well, that was at Merck. Yeah, I came to Merck. And uh, I was going to develop vaccines. And we had wild viruses in those days. You remember the wild monkey kidney viruses and so forth? And I finally after 6 months gave up and said that you cannot develop vaccines with these damn monkeys, we're finished and if I can't do something I'm going to quit, I'm not going to try it. So I went down to see Bill Mann at the zoo in Washington DC and I told Bill Mann, I said "look, I got a problem and I don't know what the hell to do." Bill Mann is a real bright guy. I said that these lousy monkeys are picking it up while being stored in the airports in transit, loading, off loading. He said, very simply, you go ahead and get your monkeys out of West Africa and get the African Green, bring them into Madrid unload them there, there is no other traffic there for animals, fly them into Philadelphia and pick them up. Or fly them into New York and pick them up, right off the airplane. So we brought African Greens in and I didn't know we were importing the AIDS virus at the time." Guide to reading the crumbs necessary to cont[I]. I get the impression we are being led to some of these backroom messaging sites by Q, from some of the magic square stuff. I'm sure we are missing loads just because of the speed that info is now coming out at! I think this is part of the reason Q kept telling us to "Get organized" - we won't be able to keep up if we don't! So why not ask people exactly what they want to research with each drop and get 1 or 2 others on board to help. That would require specific protocol for searches, wouldn't it? If only certain people are researching certain things, that kind of limits the input of everyone else...I'm not sure that's wise, because what if that person happens to be looking down the wrong rabbit hole because something got missed by narrowing the scope? If we're going to get organized, then we've got to really get organized...without risking becoming too rigid and creating distortions that prevent the flow of free thought and mass collaboration. Maybe have small designated groups of people who are primarily researching various combined avenues of approach? Like teams, that any newcomers can join in and help...or people who are here but may not post much for fear of redundancy or whatever. Maybe if we had the discussion divided into sections just like the Q-Wiki and teams working on each section as they pertain to each new drop? Team leaders could simply identify themselves by writing their designation under their screen name in their avatar or something. Maybe like Red Team could work on Magic Squares and other forms of cypher, and Blue Team could do research into the Vatican angle on all of this...just a couple examples to throw out there. Have yet another team tackling the esoteric aspects like Luciferianism and Masonic connections. Have still another looking into the human trafficking and tunnels and things. I don't know...just spitballing. Everything is connected, and everything has meaning. Because this thing is really just that incomprehensibly vast. It's going to take a lot of us to go through it all, so we've got to have a way to accomplish that without losing the energy and momentum of the group as a whole. I could be wrong, but I feel like more people would jump in actively if they had a specific goal that matched their interests/skillset and their availability, which is limited to a set schedule for many here. Ah, ok, thank you! I didn't know if you already said or not and couldn't find a post where you had.